A group at the Institute of Life Sciences (ILS), Bhubaneswar, India, led by Dr. Dey, is working in the field of plant genetic modification. For more than a decade now, the group has been actively involved in the isolation of efficient promoters from the genome of plant-infecting pararetroviruses and their characterization in different plant models. Briefly, a promoter is a DNA segment located upstream of a gene that regulates the expression of the same; however, there is a certain dearth of excellent promoters suited for use in plant molecular biology. Over the years, researchers around the globe have been using the CaMV35S promoter for their gene expression based studies in plants. Dr. Dey’s group has already reported a number of highly constitutive native promoters from different members of Caulimovirideae family having stronger transcriptional activity than the conventional CaMV35S promoter. Further, their group has designed and tested several stress-inducible “tailor-made” synthetic promoters by manipulating the sequence backbone of the native promoters via DNA shuffling, domain swapping/hybridization, site-directed mutagenesis, and so on. Such “chimeric promoters” have the desired qualities of two or more parent promoters in a single one. “We routinely engineer plant expression vectors coupled to such efficient promoters to create excellent vehicles for gene delivery in plants,” says Dr. Dey. Dr. Dey holds several US and Indian patents that cover the salient features of these newly designed promoters. Many of them are currently in use for plant genetic modification worldwide. With the aid of these approaches, this group has successfully designed efficient stress-inducible promoters which we are currently employing for advanced plant genetic modification, particularly to improve the environmental adaptability of crops. 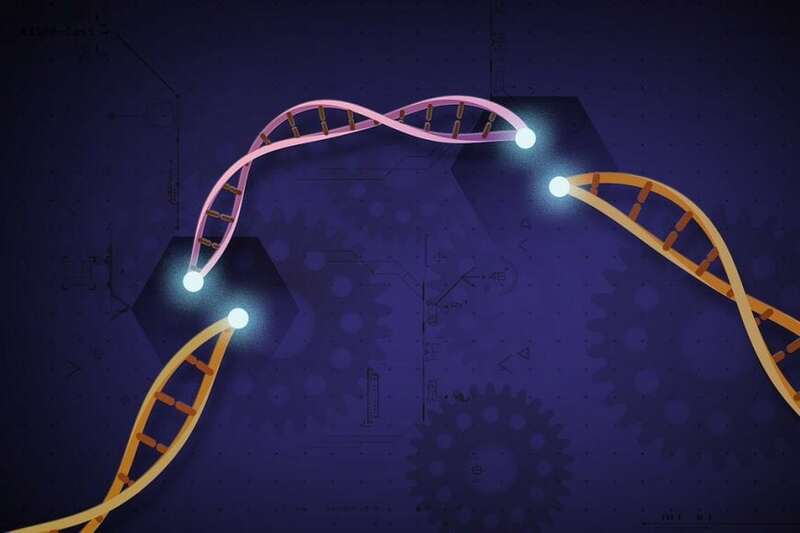 With the dawn of a new era of technologies, researchers have now gained control over powerful tools (such as CRISPR-Cas9) that can modify the genome of any organism. This gene editing technique known for its ease and precision has unbeatably outshined all others. CRISPR has successfully modified a plethora of plants for both physiological and nutritional benefits. Dr. Dey’s group at ILS have also taken a step forward to exploit this technology for the greater benefit of the society particularly towards the fast-growing global food issue. Environmental stress adversely affects crop productivity and poses severe damage to plants. This damage can make the food crisis explode with an unaware populace who are at the risk of hunger. It is difficult to feed a hungry planet, which is facing the extremes of a changing climate and global warming. We desperately need an efficient, lesser time consuming and cost-effective strategies that can meet the arising food concern. The group is currently working toward developing multi-stress tolerant crop plants that possess a “molecular switch” which can help in boosting up the production of crops or more appropriately rescuing them from environmental stress conditions. To achieve this, they have employed a CRISPR-dCas9-based bipartite module’ that consists of two components: first, an inducible promoter and second, a deadCas9. This module is capable of ensuring the simultaneous control of multiple biotic and abiotic stress-responsive genes without altering the overall plant gene architecture. They are employing a single effector to perform gene activation and make the genetic manipulation easier. The group has combined their expertise in promoter engineering coupled with the CRISPR system to devise something better than what is already available. It is agreed that gene editing has been made easy in the last decade, but multiplexing has eased the load. This could devise super-plants that could tolerate harsh environmental conditions without compromising their nutritional content. With the successful translation of this approach, we anticipate that we can rescue the plants from severe environmental atrocities and thus contribute to enhancing crop productivity. The group is constantly engaged in devising strategies to engineer stress-tolerance in plants and strongly believe that it is now possible to devise super-plants with “CRISPR-operated” molecular switches in the near future. This information is based on a review article entitled Cis-trans Engineering: Advances and Perspectives on Customized Transcriptional Regulation in Plants, recently published in the journal Molecular Plant. This work was conducted by Ankita Shrestha, Ahamed Khan and Dr. Nrisingha Dey from the Institute of Life Sciences, an autonomous institute under the Department of Biotechnology, Government of India, Bhubaneswar, Odisha, India.